Selected 2015 maker, Jode Pankhurst and Dovecot Apprentice Weaver Ben Hymers will meet and discuss their studio practice and making. Focusing on the collection on view in the exhibition, Jode will describe to Ben how the pieces were made. In return Ben will invite Jode to view his current Apprentice piece ‘Penelope’ and explain the story behind the tapestry. You can watch and listen to Jode and Ben’s conversation online via Periscope @DovecotStudios on Twitter. 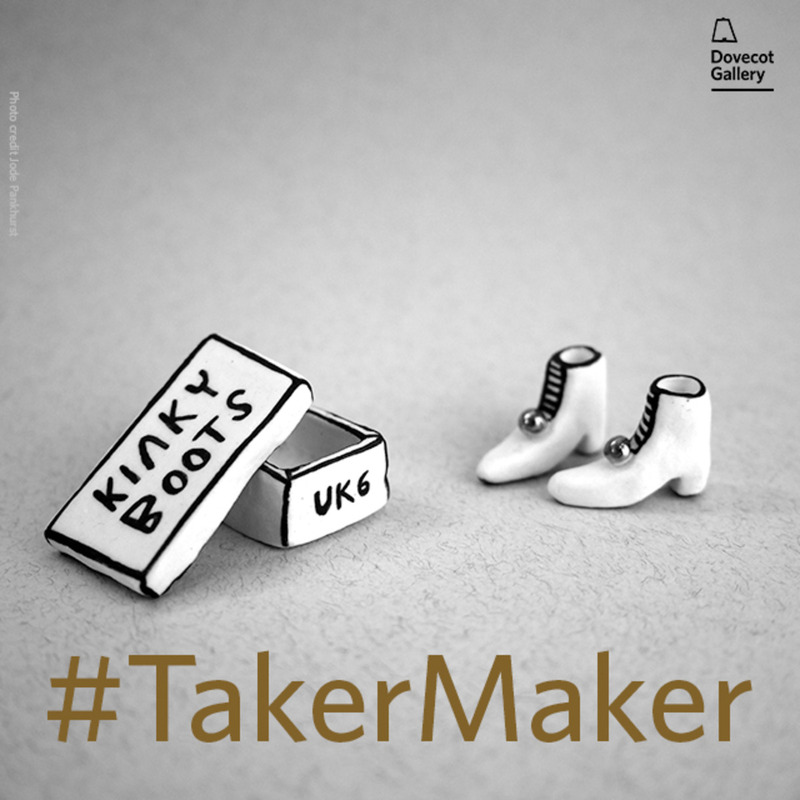 Feel free to add to the discussion by using the hashtag #TakerMaker.